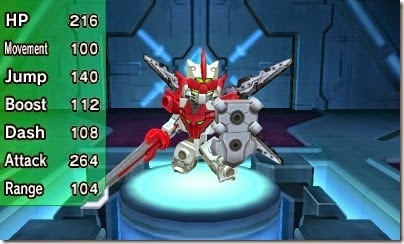 A relatively new anime series in Tenkai Knights: Brave Battle gets a shiny game for the Nintendo 3DS. But is it any good? Tenkai Knights: Brave Battle is based on the 2013 anime series Tenkai Knights, which tells the story of a group of teenagers that travel through a portal to another dimension and are chosen to become Tenkai Knights. 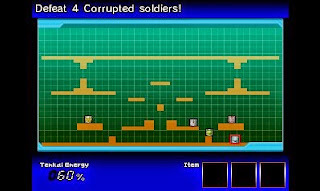 As a relatively new show, Tenkai Knights isn’t very well known, so perhaps the release of Tenkai Knights: Brave Battle on the Nintendo 3DS will to help spotlight the series to those unfamiliar with it. 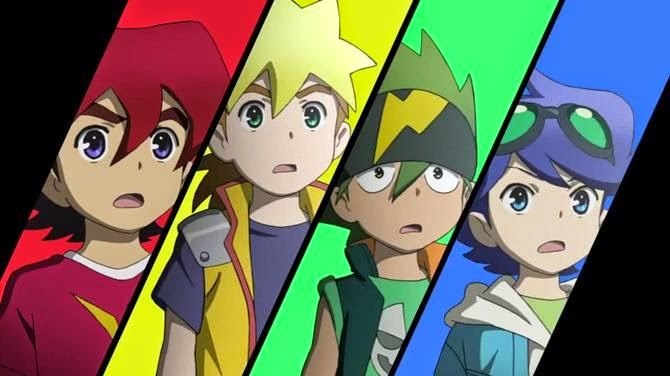 The plot follows that of the anime, as four teenagers (Guren, Ceylan, Chooki & Toxsa) travel through an inter-dimensional portal, where they are chosen to become the new Tenkai Knights as they must stop the evil Lord Vilius from taking over both dimensions. It’s a plot that’s obviously tailored towards children (with the anime being based on a children’s construction toy) and despite being incredibly basic and cliché, it does an okay job at telling the story of the anime. Those familiar with the plot are sure to enjoy it more, however those that are unfamiliar with it could end up finding the entire story tedious. Missions in Tenkai Knights are tackled by selecting one of the four character’s knights, each of which feels somewhat different from one another in terms of their weapons. The standout feature of the gameplay is having the option to customise your knight with different pieces of armour, weapons and shields prior to a mission. While the options aren’t too varied, having the choice to customize your knight is a suitable feature considering the anime’s toy background and is sure to please young gamers and fans. Unfortunately it’s when you enter a mission that things start to go downhill very quickly. Knights customisation stands out as one of the better parts of the game. Right off the bat, there is no clear explanation of the controls which results in every battle coming down to awkward button mashing. While you could say that as it is targeted towards children, having an explanation for the controls might not be necessary as kids like to just jump straight into a game, but come on, in this day and age you need to clearly explain the controls as there were times where I didn’t understand some of the user interface and how that translated to the gameplay. What makes the gameplay even worse is just how clunky it is overall. Characters look unnecessarily funny when simply walking about and there will be countless times where you will struggle just to jump onto a platform, which is utterly ridiculous. The knights each move in the same manner (outside of one, which has the ability to use a jetpack) with only the speed of their movement being different, and yet even just moving left and right feels off. You can tell that sufficient time wasn’t spent on making the gameplay run smoothly, and as a result, the gameplay isn’t enjoyable in the slightest. Mission objectives hardly change outside of being ‘kill x amount of soldiers’, ‘collect x amount of materials’, ‘kill boss’ and ‘protect x’. There is zero variety when it comes to the mission design, in which you’ll hardly see any differences between the first level and the last. It’s as repetitive as repetition goes, with co-op not doing much to help as if you can somehow find someone to team up with. You'll be seeing objectives like this ALOT! The menu music and sound in Tenkai Knights is solid for the most part, with the voice actors and music from the show being used, which is sure to excite young fans of the series when they hear them, though the music during missions is rather generic and weirdly doesn’t really match the situations going on onscreen. One very odd choice that stood out right from the get-go was that during cutscenes, music is given priority over the voiceovers, so you can hardly hear what is being said. Considering this is audible right at the beginning, it stands out as a pretty silly way to introduce your game. After playing just a few minutes of Tenkai Knights, you can tell that it was clearly rushed out to capitalize on the anime. Clunky and repetitive gameplay, along with odd design choices make this a game that even fans of the series should look to avoid. You’ll be doing yourself a massive favour by sticking to the anime and the toys.